Washington, D.C., May 17th 2012 – The Securities and Exchange Commission is seeking comments on its revised Concept Release on Equity Market Structure. The original Concept Release sought commentary on issues ranging from high frequency trading, to co-locating trading terminals, and to markets that do not publicly display price quotations. After an excess of 325 comment letters from a diverse and varied market constituency that included brokerage firms, dark pool operators, stock exchanges, money managers, and retail investors, the Commission has decided to revise the framework for examining our markets, and seeks commentary. 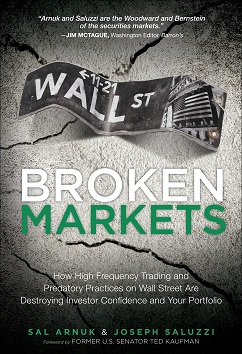 While the initial Concept Release focused on many issues, and especially Market Quality Metrics, Fairness, High Frequency Trading, Co-location, and Dark Liquidity, this update seeks to further frame what the best market structure would be that allowed for healthy interaction between traders of all speeds, investors, and corporate issuers, as well as allowed for capturing the efficiencies of substantial technological efficiencies introduced by technology. We will update our Concept Release on Equity Market Structure by examining issues in three parts, of which Part I is this first request. a. Has the practice of selling retail order flow harmed retail investors and traders? What effect has the practice had on the quality of order flow on the public markets? Have disincentives been introduced that have deterred the provision of longer term liquidity on limit order books? b. What effects has internalization had on investors? Is sub-penny price improvement enough compensation for investors to justify financial modeling and advanced previews of order flow before they arrive in the market place? c. Does the maker/taker pricing model on the various stock exchanges distort pricing in the markets? Does buying and selling to maximize rebate-garnishing business models distort the price discovery innate in the traditional supply/demand model, where participants buy because they feel the asset will appreciate in price, and sell because they feel the asset will depreciate? d. How should the Commission view “pricing innovation” when deciding whether to approve or disallow a new trading venue? Parts II and III will be released in coming weeks, and we are eager to hear your viewpoints.